Belfast Healthy Cities hosted a seminar in January 2017 focusing on promising and successful approaches to tackling inequalities. Speakers demonstrated innovative approaches to resolving complex problems, highlighting specific developments and discussing the results of collaborative cross-sectoral working. This programme aims to strengthen capacity in organizations to understand and reduce inequalities. The programme has been designed to develop a network of professionals with capacity to support effective collaboration across organizations from the public, community and voluntary sector. It provides a platform to explore recent developments in the field of inequalities, including evidence and information required to define the issues and tools and approaches available to support action. A one-page tool was developed with representatives from different organizations to help explore the potential effects of policy and proposals on inequalities in local communities. The tool can be used to screen policies, strategies, plans and commissioning frameworks against the potential effects of the inequalities. The tool can be used during the development or review of a policy or other types of proposal. Health inequalities are defined as such differences in health, which are avoidable and therefore can be considered unjust. Striving for equity is not about ensuring that everyone has the same level of health, but about providing fair conditions that allow everyone to attain their full potential. Income and social status are key determinants of equity, or inequality. The level of income has a decisive influence on material living conditions. Social status affects both self-esteem and mental well-being, and ability to alter those conditions. People on low incomes and in lower social groups are more likely to die young and suffer ill health, primarily because their physical and social living conditions are poorer. Poor social and economic circumstances affect health throughout life. Health inequalities are a global concern and countries across the world are working to reduce the impact of inequalities. Addressing social inequalities contributes significantly to improving?? health and well-being. The United Nations Sustainable Development Goals have been developed to transform our world by 2030. 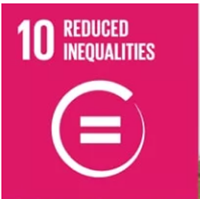 Countries are working together to implement the plan which has identified reduced inequalities as one of 17 goals. It is well documented that improving the health and well-being of the population cannot be tackled by the health sector alone; all sectors have a positive role to play in reducing inequalities in health. Our health sector provides important health care, but a strong social, economic and built environment can help prevent and reduce ill health thus reducing demands on the system as well as pressure on public budgets.